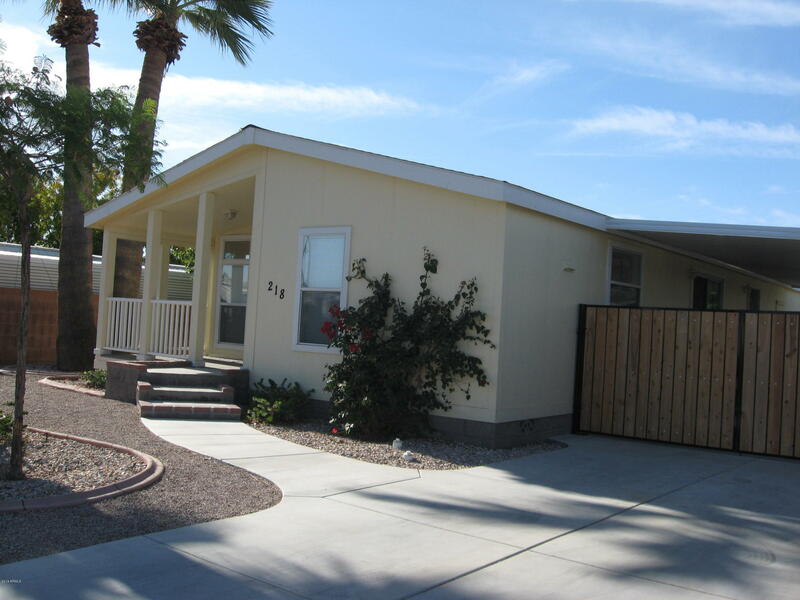 All MESA MOBILE ESTATES 3 homes currently listed for sale in Mesa as of 04/23/2019 are shown below. You can change the search criteria at any time by pressing the 'Change Search' button below. "This a three bedroom home with 1 1/2 baths. Hall bathroom has a tub with a shower and the master bath has a walk-in shower only. Master bath has cupboards and counter space on the opposite side of the sink area.The third smallest bedroom can be used as a den/office that has double doors accessible to the living room area. The home has a large carport that is gated and can be locked from inside for added security. There is a large shed for storing yard equipment, etc. It has a block fence su"